Employing a bookkeeper in-house is expensive. The cost includes not just salary and benefits, but other expenses like payroll taxes and hiring and training a new employee. By outsourcing your bookkeeping you will be able to reduce employee headcount, avoid delays due to sick days and turnover, and minimize staff costs associated with training and benefits. There is no need to buy extra hardware and software for your accounting needs when you outsource your bookkeeping. The upfront cost of computers, software and troubleshooting these systems will add expense and require your business to learn new non-essential competencies. You did not go into business to run an accounting department, or even worse, do books yourself. 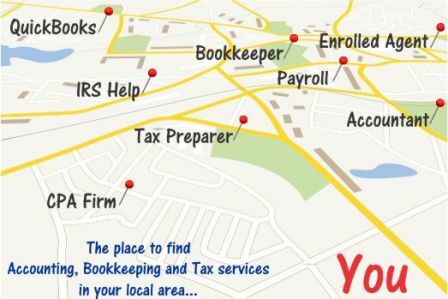 Many small business owners struggle with tasks that are outside their area of expertise, like bookkeeping, while they would prefer to spend more time on their core businesses. By outsourcing your accounting chores, you can stop wasting valuable time and concentrate on the reasons you went into business in the first place. Let a professional take care of your bookkeeping needs so you’ll have more time to focus on what you do best. Most business owners can only effectively manage a handful of staff. Consider hiring as many people as you can manage to carry out revenue-generating tasks and outsourcing other functions, including bookkeeping. The management activities required for each additional staff person you hire requires significant time expended for training, personnel issues, salary negotiations, firing and hiring. Outsource and that time can be reinvested elsewhere. Counting money won’t make more money. If you have spare time to build in-house accounting teams, inject it into the areas of the business which make money like your sales team. Outsourcing is not a perfect system, but compared to the alternatives it is far more effective. Outsourced professionals can help you understand your business better – where your biggest profits (and losses) are, how much you have spent on marketing, how healthy your cash flow is looking. Having this kind of information on hand is vital if you are to make the best decisions for your business and ensure its success. In times of financial crisis, tough decisions need to be made. An outsourced bookkeeper will be more impartial than an in-house person, and will probably give you unbiased advice. Suppliers are also easier to let go of than staff.